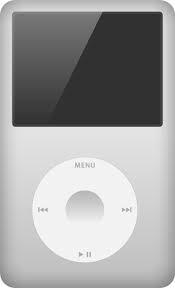 The first time I did one of these posts, on June 2 last year, there were 14,896 songs on my iPod. Today there are 16,421, signifying that in 485 days I’ve acquired 1,525 songs, or 3.14 songs a day, coincidentally the value of Pi. Seems my addiction to music is as strong as ever, fed now by iTunes as well as traditional outlets like Fop at Cambridge Circus and Sister Ray on Broadwick Street, the odd charity shop near where we live in Surrey and, shamefully I know, mail order through Amazon. All of which makes the shuffle selection on the train between Guildford and Waterloo more and more varied, so it was a bit of a surprise that this morning’s assortment was almost all Grade A and, what's more, immediately recognisable. First up was Elvis Presley singing ‘Can’t Help Falling In Love’, as sincere and lovely a ballad as he ever recorded, even though 1961’s Blue Hawaii, the film and album for which it was recorded, signalled the beginning of an artistic decline that would not be arrested until 1968. In 1985 I saw Springsteen sing this song at Wembley Stadium, prefacing it with a story about how he once climbed over the Graceland wall in a futile attempt to see Elvis, only to be turned away by a security guard. “Elvis,” he said, “showed us the promise of life,” or words to that effect, adding, “It’s easy to let the best of yourself slip away.” 80,000 of us then joined in the chorus. Then came The Who, Roger introducing Keith who in his best toff accent introduces ‘Squeeze Box’, cheery and lascivious but not one of my favourite Who songs. This version, recorded live at Swansea Football Ground on June 12, 1976, is one of the bonus tracks on the reissued Who By Numbers from 1996, and sees The Who on good form, with Pete improvising a slightly untidy ‘wonder-what-I’ll-play-next’ solo and, at the end, telling his Welsh fans how nice it is to be playing while the sun goes down. Next up is Bill Haley and his Comets singing that old chestnut ‘Rock Around The Clock’. It’s difficult nowadays to imagine the impact that this well-worn and rather cheesy song had on the world when it was a UK hit in 1955, but history tells us that it inspired Teddy Boys to slash cinema seats, thus causing what may well have been the first of far too many backlashes against rock’n’roll music. “Ban it,” screamed the uptight self-appointed guardians of our morality. King Canute tried to do the same thing with the tide. I saw Bill once, late in his career, at the Venue in Victoria, early 1980s, and he was struggling. A bit sad really. He is followed by Anita Bryant singing ‘Till There Was You’ from a Mojo cover-mount CD called The Roots Of Paul McCartney. This song, of course, comes from the 1957 musical The Music Man and was covered by The Beatles on their second album, a bit of an oddity really and probably not to John’s liking. As it happens the same song appears on the cover-mount CD on this month’s Mojo too, this one entitled Songs The Beatles Taught Us, so our premier music magazine isn’t above selling us the same music twice just as record labels do, though I suppose they could defend themselves by claiming they are giving it away. The distinctive sound of Jeff Beck’s guitar followed, ‘Morning Dew’ from the JB Group era with Rod on vocals. A much covered song that I always admired, the JBG’s version is quite restrained, with Beck contributing a typically mid-sixties wah-wah solo and a tasteful, lyrical sign off on guitar that reminded me a bit of the way Jimmy Page closes Zep’s ‘Rain Song’. Heaven forbid that Jimmy should take a cue from his old mate Jeff! Equally restrained were the Manic Street Preachers on ‘This Sullen Welsh Heart’ which sounds like it should be one of their righteously angry songs about poverty in the valleys but instead sees James Dean Bradfield crooning along to his acoustic guitar, joined by Lucy Rose on the chorus. For many years I felt deeply hostile towards the Manics, the direct result of Nicky Wire’s offensive comments about John Lennon and Michael Stipe, but eventually I put that down to immaturity and the need to create a headline, so I’ve softened and nowadays enjoy their music a lot. I enjoyed this too. We moved on to Martha & The Vandellas giving it their all on ‘Come And Get These Memories’, unmistakably Motown with its fab dance beat, followed by Bruce singing ‘When You Need Me’ from his Tracks box set. This was a Tunnel Of Love outtake recorded in early 1987, a power ballad with predictable changes but Bruce has a way with this kind of song that lends it a profundity that others would be unable to impart. I’ll be there for you, sings Bruce with a good deal more understating than the theme from Friends, steadfast and true as the song rolls along. Heading through Clapham Junction Sam’s 12-bar romp gives way to country picking maestro Albert Lee who, backed by his band Hogan’s Heroes, offers up ‘Till I Gain Control Again’, a country-style ballad by Rodney Crowell, first recorded by Emmylou Harris in 1975, when Albert shared guitar duties with the great James Burton in her Hot Band. This is simply lovely, from a live double CD recorded in Paris that I cannot recommend highly enough, impeccable guitar playing as you might expect, not just from Albert but also from pedal steel player Gerry Hogan. A few years ago I attended an Albert Lee Guitar Master Class in Guildford and watched spellbound as he ran through his favourite licks for an audience of musicians. First he’d played one slow, nice and easy, then do it in real time. Magic – and a lovely, humble man too. The train was heading through Vauxhall and approaching Waterloo as ‘Till I Gain Control Again’ was followed by ‘She Belongs To Me’, Dylan, from Bringing It All Back Home. Fabulous, and needs no comment from me, other than I paused it at 0.37 and look forward to the rest when I head home tonight. Starved of new music from the delightful but stingy pen of Gillian Welch, the new album by musical partner Dave Rawlings and his Machine seems like the next best thing – but it’s not exactly a barrel of laughs. 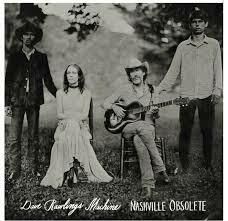 Nashville Obsolete offers just seven songs, all bar two of which creep along at snail’s pace, by and large echoing the mood of the dour quartet on the cover who look like they’ve just seen a ghost, especially Welch in her ankle-length antique white dress and an expression of sheer terror on her face. The tenor of opener ‘Weekend’, too, is lightened by its chorus, but don’t expect Rawlings and Welch to be anticipating the end of the week like, say, Eddie Cochran. Their Saturdays and Sundays aren’t much fun really, and neither are women with short hair, whom Rawlings advises against falling for in the slightly spooky ‘Short Haired Woman Blues’. The sense of doom is relieved only by ‘The Last Pharoah’, at 3.30 the shortest song on offer, which at least skips along with a rhythmic pulse, and the throwaway, somewhat silly, romp, ‘Candy’, with its ambiguous insinuation that Rawlings and Welch might be singing about a sweet or a girl or, indeed, a sweet girl. A jig of the kind that this pair can rattle off in their sleep, it’s a companion piece to ‘Sweet Tooth’ from Rawlings’ earlier album which I actually played for my bemused dentist a year or two ago. The record closes on another atmospherically unhappy saga, ‘Pilgrim’, and while there’s a chance that Rawlings is being tongue-in-cheek in his desolation, the mood throughout does seem to echo the pair’s disenchantment with both relationships and the world in which we live. Welch, of course, co-wrote all the material and is adept at conjuring up a similar ambience, usually suggestive of struggles borne by dirt-poor Americans in the Great Depression. Hereabouts, although a keening old fiddle often adds to the gloom, the despair seems a tad more current. Fortunately, that unique Rawlings signature guitar sound remains intact. To my ears his flatpicking on frets high up the scale sounds at times like a mandolin with single strings or, on the lower notes, like a fretted cello. I am hard pressed to think of any other acoustic player whose tone is so immediately recognisable, as it was here from the very first notes of ‘The Weekend’. I would guess, too, that he has a few John Fahey albums in his collection. Rawlings and his Machine are touring the US right now, with Welch as part of the band alongside Paul Kowert on bass, Brittnay Hass on fiddle, Willie Watson on guitar and Jordan Tice on mandolin, though mandolin duties are occasionally shared with John Paul Jones. Welch plays the drums, as she does – sparingly – on the new album. For the sake of any manic depressives in the audience, I can only hope the shows offer a broader range of material, or that the live renditions of these new songs are spruced up a bit. It is now four year’s since Welch’s The Harrow And The Harvest, so we’re overdue another from her which I anticipate eagerly. On the pictures in Nashville Obsolete’s booklet, some of which were taken by the noted photographer Henry Diltz, it looks like she’s dyed a few strands at the front of her hair blonde. I doubt she’ll cut it short though. Regular readers of my Who posts on Just Backdated, and there must be a few of you, will be aware that I have contributed the liner notes to the box set of 7-inch vinyl Track singles that is being released at the end of October. It is the third in the series, with similar boxes of Brunswick (eight discs) and Reaction (five, including the Ready Steady Who EP) singles already released and a fourth, the Polydor singles, yet to be scheduled. Mark Blake wrote the notes in the Brunswick and Reaction boxes and Matt Kent is lined up for the slightly more difficult task of writing about the later singles, of which there are 15, the same as the Track box. I think I had the pick of the bunch by writing about the Track records, though I’m probably not alone in believing that The Who rarely put a foot wrong in the sixties. 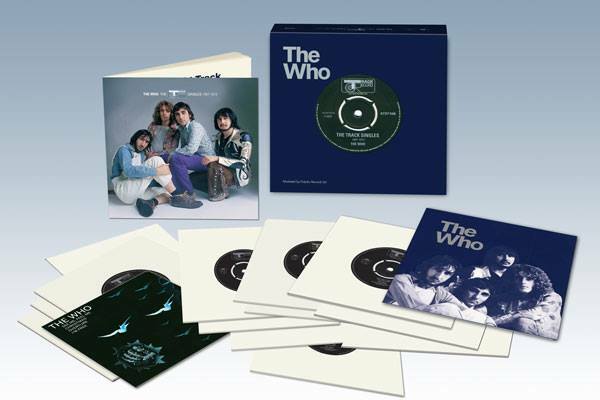 So reselling the same music again and again has been ongoing since the introduction of the 12-inch album and everyone is guilty, of course, not least The Who. Nowadays, however, the practise has been upgraded to a degree, insofar as the music of heritage acts is being repackaged in limited edition collectable sets, in many cases facsimiles of earlier vinyl releases, hence the presentation boxes of Who singles. They are, quite simply, nice things to own. Well, my copy arrived last Thursday and very nice it is too, a sturdy box in the same shade of navy blue as the picture sleeve for ‘Won’t Get Fooled Again’, slightly lighter than the sleeve for the Tommy EP. All the singles from ‘Pictures Of Lily’ to ‘5.15’ are present and correct, including (to my surprise) the ‘See Me Feel Me’/’Overture’ single that was released and withdrawn in October 1970 in favour of the EP that came out two months later. Designer Richard Evans has paid scrupulous attention to detail, even down to spelling John’s name wrongly (as Entwhistle) in the composer credit for ‘Doctor Doctor’ on the B-side of ‘Lily’, as it was on the original single. They all have black Track labels barring ‘5.15’ which is silver, again like the original, and have plain white sleeves except for the Tommy EP and ‘Won’t Get Fooled Again’ which had a picture sleeve with a shot of the four lads from the same David Montgomery photo session as the well known pic that appears here on the front of the booklet. And they sound fantastic! Even on my budget record player, the sound of The Who at their very best comes zinging out of the tiny speakers at either side and, of course, seriously rattles the brain on cans. I played most of them yesterday afternoon, hoping that the far-from-new needle wouldn’t harm them, and – perhaps inevitably – pride of place goes to ‘I Can See For Miles’, with ‘Pinball’ and ‘Fooled Again’ running The Who’s 1967 masterpiece a close second and third. In a note at the back of the booklet, our attention is drawn to the fact that Jon Astley remastered the tracks from the original mixes at half-speed “in the way that early Motown records were cut”. This evidently gives a better finish because the cutting head is moving about more slowly so it has more time to give a more detailed, less distorted, record with a much smoother top end. As for the booklet, modesty precludes me from commenting on the notes but the design features contemporaneous adverts for the singles as well as a few facsimiles of interesting memorabilia, including the form on the back of the IBC Studio tape box for ‘Moon Blues Song’, on which someone has helpfully written ‘became known as Dogs 2’. Keith is actually the only member of The Who whose photograph appears inside the booklet, twice actually – once atop his ‘Lily’ kit and looking very fetching in his blonde wig and corset promoting ‘WGFA’. So just to round off this report on the Track Singles Box Set, here’s what I had to say about the final single in the collection, ‘5.15’, with a scan below of the actual single in the box. (Townshend) © 1973 Fabulous Music Ltd. Written by Pete Townshend. © 1970 Fabulous Music Ltd.
Track 2094 115. Released 5 October 1973 it reached Number 20. Produced by The Who at The Kitchen, Battersea, June 27, 1973, ‘5.15’ is the best-known song on Quadrophenia, Pete’s second major rock opera and The Who’s sixth original album. Quadrophenia is the story of the journey of a Mod by the name of Jimmy, whose restlessness, frustration and ultimate disillusionment drive him almost to suicide. It takes in many Mod concerns – clothes, style, Brighton trips, pills and even a Who concert – and ends on a note of triumph when Jimmy somehow manages to free himself from the shackles of the cult. It is now probably best known for the 1979 cult film starring Phil Daniels. As a unified piece of music it was always going to be tricky slicing off a single from Quadrophenia but ‘5.15’ – which describes Jimmy’s extra-sensual experiences on a train from London to Brighton sandwiched between two city gents – was the best choice. “He goes through a not entirely pleasant series of ups and downs as he thinks about the gaudier side of life as a teenager that we see in newspapers like the News Of The World,” said Pete. Opening with a brief ethereal meander, ‘5.15’ soon settles into a memorable riff, emphasised by a horn section, before returning to its dreamlike state. With lyrics about “girls of fifteen sexually knowing” and being “out of my brain on a train” it invited the attention of social activist Mary Whitehouse, the permissive society’s worst enemy, but she was evidently looking the other way at the time. However, ‘5.15’ was probably too raw to be a serious chart contender, but listen out for Keith imitating the sound of train wheels decelerating, an effect he repeated when The Who performed ‘5.15’ live, which they often did. Invited to promote the song on the 500th edition of Top Of The Pops on October 3, The Who disgraced or – depending on your point of view – distinguished themselves by smashing their equipment (Pete wrecked a lovely orange Gretsch Tennessean, a gift from Joe Walsh), abusing the producer Robin Nash and misbehaving in the Green Room, thus earning a ban from the BBC staff club that was lifted after Track sent a letter of apology. In later years, a spectacular bass solo from John was incorporated into ‘5.15’, and this continued whenever it was performed live right up to John’s death in 2002. Thereafter, using film and audio footage (from a charity show at London’s Royal Albert Hall on November 27, 2000) of John synchronised with the live group, it was retained for Who concerts dedicated to Quadrophenia and for some shows on the ‘Who Hits 50’ tour in 2014/5. Produced by Pete at Eel Pie Studios during the spring of 1970, ‘Water’ is an overlong, rather heavy-handed rocker; another Lifehouse reject that mixes a rather lascivious hook line (‘water’ rhymes with ‘daughter’ throughout) with an allegory suggesting water as the cure to quench spiritual thirst. Often played on stage in 1970 and ’71, it seemed destined for inclusion on whatever album would follow Tommy. 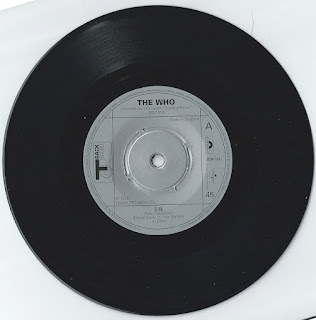 Eventually Pete came up with several far better songs, and despite several stage comments at various shows during 1970/71 announcing it as an imminent Who single, ‘Water’ was abandoned, only to resurface as the B-side of ‘5.15’. Nasmyth Street in Hammersmith, where I lived in the eighties, runs parallel to Cardross Street, a lovely little narrow backstreet with two-up-two-down terraced cottages that once housed working families. It is in the heart of what estate agents now call Brackenbury Village and these tiny houses, probably bought for less than £2,000 in the 1950s, now sell for a million, give or take a hundred grand either way depending on their condition. I used to walk down Cardross Street fairly regularly in those days on my way to the Andover Arms and I took note of their condition: invariably the ones that looked a bit shabby were those occupied by elderly people and sooner or later they’d come up for sale; the hearse followed by a skip and scaffolding. In rock’n’roll terms ‘the hearse followed by the skip’ can sometimes, regrettably, be translated as ‘the obit followed by the sale’. This week I received from Sothebys the catalogue for a Rock & Pop sale to be held on September 29, and pride of place is given to the Jack Bruce Collection, so less than a year after Jack passed away (on October 25, 2014) his heirs have been obliged to unburden themselves of his gear, which isn’t surprising as Jack always struck me as being the kind of bloke who was more interested in making music than making money. The estimate for the instrument is £80-100,000. I sympathise with families of rock icons who are obliged to sell their loved ones’ most prized possessions. It happened with another great bass player, John Entwistle – a big sale that I attended – and possessions belonging to his colleague Keith Moon have also been sold. But it didn’t happen with the two Beatles who are no longer with us and it didn’t happen with Led Zeppelin’s John Bonham or Queen’s Freddie Mercury either. The reason, of course, is that unlike John and Keith these much-missed musicians had sufficient cash in the bank to preclude the need for their heirs to dispose of valuable instruments and the like. There are some other interesting items in this catalogue that I will post about later. 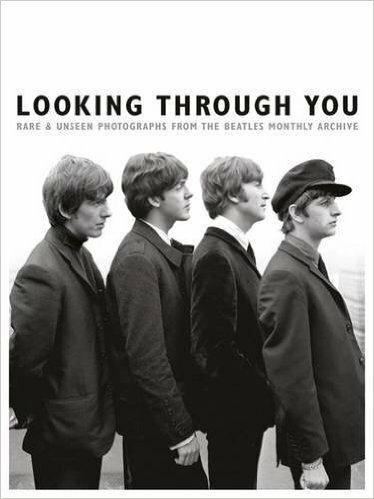 THE BEATLES, LOOKING THROUGH YOU – Dear sir or madam will you read my book! I have spent today addressing the nation on the virtues of our Beatles photo book Looking Through You (see blog: http://justbackdated.blogspot.co.uk/2015/07/the-beatles-looking-through-you.html), that is to say that, as its editor, I have done eight interviews with local BBC Radio stations, in Jersey, Northampton, Bristol, Cambridge, Oxford, Berkshire, the West Midlands and Wales. The interviews lasted between ten minutes and half an hour, two were live (which meant I had to watch my language) and all the interviewers seemed to have read or seen the book which meant I was never placed in a position where I had to explain what it was all about. Where once I did the interviewing, two or three a week on MM, I now find myself being interviewed, which is gratifying and rather fun, well most of the time anyway. Having prattled on about the book and the fab pictures inside, two or three DJs asked me to name my favourite Beatles song and, perverse as ever, I opted for ‘Long Tall Sally’ and ‘Don’t Let Me Down’, both eulogised about elsewhere on this blog, and I also found myself explaining why The Beatles are still held in such high esteem. The simple answer to this was to cite how prolific they were, 11 studio albums (one a double) between 1963 and 1970, plus sufficient non-album singles (A and B-sides) and odd tracks like those from the ‘LTS’ EP, Magical Mystery Tour and Yellow Submarine to sequence another three at least. Meanwhile, between 1963 and 1966, they toured the UK five times, America three, Europe twice and made it to the Far East and Australia too. They also made two full length feature films, recorded scores of tracks on BBC radio shows, appeared on TV everywhere and gave more interviews in a day than most of today’s rock stars are inclined to give in a year. All this was accomplished in an atmosphere of great commotion since, as the most famous men on the planet, whether they liked it or not they were adopted by the media as the world’s ‘turn-to’ spokesmen on matters relating to the counter culture. All this became a bit of a running theme as I did my interviews today and, of course, made even the DJs at these regional radio stations stop and think. Just to put it all into perspective I mentioned that Coldplay, as an example, have now been together for 19 years and released six albums with a seventh evidently in the works. Contrast and compare – and we haven’t even mentioned the quality of the work. Those DJs who knew a bit about my past asked about the changes that had taken place in the music industry from a journalists’ point of point which led me to discuss the catastrophic decline in circulation of the weekly music press which has led to only one man, NME, left standing. I mentioned that the Beatles Book Monthly, from whose archive the pictures in Looking Through You were selected, sold 300,000 a month at its peak. I also mentioned access: the reason why the pictures in this book are as evocative as they are is because Leslie Bryce, the BBM’s photographer, was allowed virtually unlimited access to The Beatles, at least until 1968. The slick PRs that control today’s superstars, spinning positive stories and choosing only those pictures they consider sufficiently flattering, would do well to study Looking Through You and consider how spontaneous shots, instinctive and natural, can be 1,000 times more flattering in the long term than the posed shots, touched up and photo-shopped, that are the norm today. Finally, I found myself explaining Beatlemania, or trying to. How do you put into words the impact that The Beatles made in the UK in 1963 and 1964? 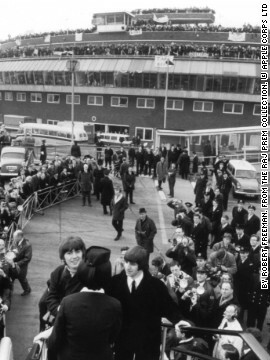 It’s hard to explain to those who weren’t there, so I opted to describe the scenes at Heathrow Airport when The Beatles were flying in or out, and the newspaper headlines that inevitably followed. Yes, it really was like the photos below that I found on the internet. BEATLEMANIA! - A second helping. Another extract from Beatlemania! : The Real story of The Beatles UK Tours 1963-1965 by Martin Creasy, published by Omnibus Press in April 2011, this one taken from the chapter about their fifth tour that took place between October 9 – John’s 24th birthday – and November 10, 1964, opening at the Gaumont in Bradford. The action got started with two houses at The Gaumont Cinema in Bradford on Friday, October 9. Friday was a great night to start a tour with the weekend beginning and fans in good spirits, though it hardly made much difference to the touring party. Heavy traffic meant the Fabs arrived at the Gaumont later than planned and they made their way in through the crowds, John in his dark glasses, but they got down to some important work that evening. Anyone around the Bradford cinema on that opening evening may have heard a nice bonus… four Beatles playing a song they would soon be recording. ‘I Feel Fine’ was to hit the shops six weeks later, and they worked on it in what privacy they could, with all doors and entrances firmly locked! Covering the show for NME was Gordon Sampson, and he was quickly able to dispel any rumours that The Beatles were losing their touch. Just to underline the point his review was headed Beatles Still Tops and he wrote of fantastic scenes, of banner-waving fans trying to break through police barriers and all sorts of objects being lobbed towards the stage, including a giant teddy for John, who was celebrating his 24th birthday. The Beatles, in their smart, black suits, opened with a short burst of ‘Twist And Shout’ and then launched straight into ‘Money’. Paul then somehow managed to make himself heard over the screams as he gave his traditional audience welcome of: “Ta. Thank you very much and good evening. How are you, all right?” before launching into ‘Can’t Buy Me Love’, the first of five songs from A Hard Day’s Night. He slowed the pace with ‘Things We Said Today’ and then George fans had a treat as he took the spotlight for ‘I’m Happy Just To Dance With You’. Then John belted out ‘I Should Have Known Better’. He accompanied himself on harmonica as well as guitar, and George was on his 12-string Rickenbacker. Then John was joined by Paul for their duet ‘If I Fell’. Ringo, as ever, was given his number. He didn’t have a song on A Hard Day’s Night so it was back to 1963 as he launched into ‘I Wanna Be Your Man’ with gusto, supported by the others on the chorus. According to Disc, Ringo’s song earned the biggest screams. The paper also complimented John on his harmonica work. John introduced ‘A Hard Day’s Night’ to send the screams even higher and then Paul hit them with ‘Long Tall Sally’ for a full-tilt finale. The curtains came down while an instrumental version of ‘Twist And Shout’ was played over the speakers. These 10 songs were the group’s basic setlist for the tour. The opening night, as you might expect, was to set a pattern for the rest. Sampson had covered the Helen show at the Gaumont for the NME in February, 1963. Looking back, he considered the difference between the two: “The screaming of course. And the fact that you couldn’t get a seat this night. I was covering the show for the NME and the best the manager could do for me was standing up under an alcove to the side, near the front. Even an artist as talented as Mary Wells struggled with an audience that had really only come to see The Beatles. She closed the first half, wearing a pink dress for the first house and a black for the second, but the reception was the same… lukewarm. ‘My Guy’ went down well, but ‘What’s So Easy For Two Is So Hard For One’, ‘Time After Time’ and ‘Two Lovers’ went over quite a few teeny heads. Sounds Incorporated, who had backed Mary, tried hard in their own slot, with ‘Spanish Harlem’ followed by ‘Maria’ from West Side Story. Tommy Quickly had the slot before The Beatles and he fared a bit better. He looked quite a sight decked out in a bowler hat, with an umbrella in one hand and a toy dog in the other for ‘Walkin’ The Dog’. The knockabout theme continued with ‘Humpty Dumpty’ and he got his biggest cheer for his single, and the nearest he ever came to a hit, ‘Wild Side Of Life’. He was backed by The Remo Four, but it had proved tough going for them, The Rustiks and Michael Haslam. They performed well enough but fans weren’t there to see them, and reporters weren’t there to write about them. The two houses done, it was time for the quick getaway. Fans waiting outside Bradford’s swankiest hotels after the show hoping for a glimpse of The Beatles were to be sadly disappointed. The Fabs had kept one step ahead by finding somewhere nice to stay… in Halifax. It was wrongly presumed that The Beatles stayed at The Raggalds Inn in Queensbury this night (the confusion may have come about because the police set up a road block just before Raggalds), but they carried on along the same road to where they were booked – an imposing Jacobean mansion called The Cavalier Country Club which in reality was a private dining club and not a hotel. This meant that owners Freddie and Rita Pearson relinquished their comfortable beds for the night so that Beatles George and Paul could get their heads down, while their daughters Gail (14) and Kim (8) gave up their shared bedroom for John and Ringo. 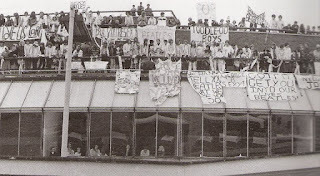 Brian Epstein was also present, but he was obliged to bed down on a put-me-up bed in the room where they dined. After dinner it was back down to the bar, and surprisingly it was birthday boy Lennon who was first to retire. “John had toothache, apparently, and so went to bed before the others,” says Gail. Having missed out that night Gail was hoping The Beatles would at least have their breakfast in the dining room the next morning. She was inconsolable when they didn’t appear but instead ordered a meal in their rooms for 10.30am. “I was crying my eyes out and my mum finally said this is ridiculous and she went up to Paul and George’s room knocked on the door and when they answered said that I’d been waiting all that time to see them and thrust me into the room. Of course I was struck dumb but they were very nice and chatted to me. Paul said what a wonderful place we had. He had been reading this book we had about Ibiza and said that it looked great and he fancied going there. He even offered me a ciggie, but I refused of course. Some more precious photos were taken outside before The Beatles headed out of Yorkshire to Leicester and their two Saturday night shows at the de Montfort Hall. The Beatles’ hotel bill was settled a few days later - with a cheque for £42 13s 6d, courtesy of The Beatles Ltd.
“My father asked the bank manager if we could have a copy of it - you could do that back then - and he was duly given a photocopy,” said Gail. 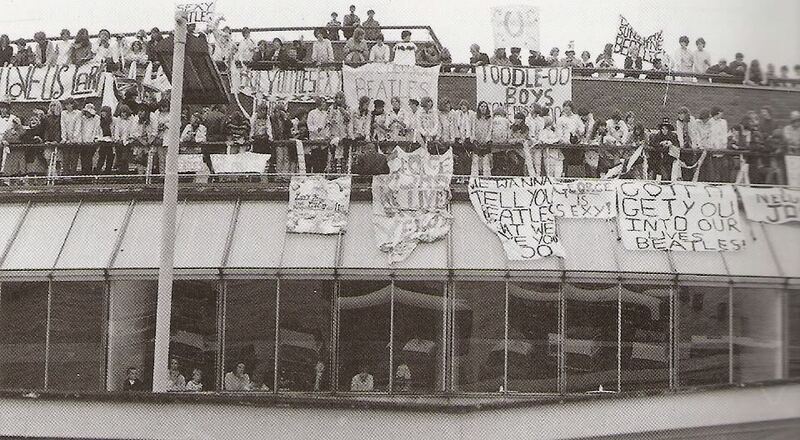 “It’s not worth as much as the Bayeux Tapestry, but it means a lot to us.” The Cavalier Country Club still stands proudly, although it has long since been called Holdsworth House and is now a popular hotel, very proud of its link with The Beatles and a few other high profile guests down the years. Gail (now Gail Moss) and sister Kim are joint owners. This is an extract from Beatlemania! 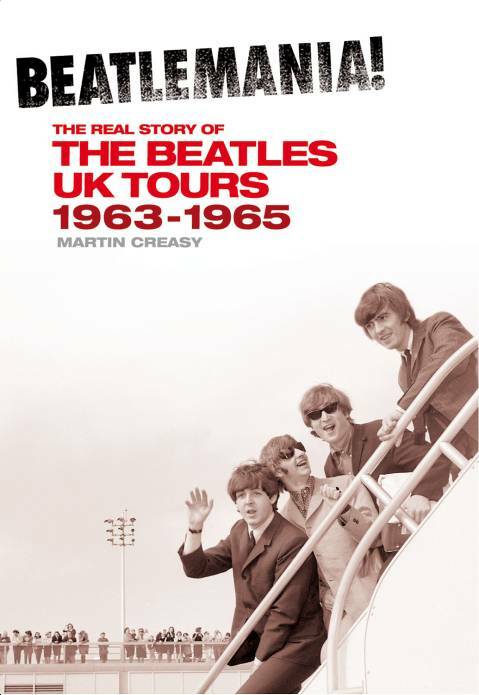 The Real Story Of The Beatles UK Tours, 1963-1965 by Martin Creasy, published by Omnibus Press in April 2011. Martin spent two years tracing the trajectory of The Beatles’ UK tours, interviewing scores of people who in some way connected with John, Paul, George and Ringo en route. They include other performers on the bills, theatre and hotel employees, police who guarded them, provincial journalists and photographers who interviewed or photographed them, and – most of all – fans, some of whom were lucky enough to meet and talk with the group. Their testimonies uncover a fascinating and previously undocumented side of the Fab Four. This extract is taken from the chapter about their first UK tour that took place between February 2 and March 3, 1963. At the beginning of the tour they were largely unknown and closing the first half of a show headed by Helen Shapiro but by the end this had changed dramatically and The Beatles were topping the bill. The final night on the tour was at Hanley in Staffordshire, with the two performances at the Gaumont Cinema. Such was the response of the Hanley public that night that compere Dave Allen had a hard job keeping order. More than 2,000 teenagers packed into each house and afterwards hundreds gathered outside the stage door hoping for a glimpse of the stars. Cinema manager Mr J A E Ramsden was pretty pleased with it all, declaring it “one of the most successful shows ever held at the theatre”. There to record proceedings for the Out And About section in the local paper The Evening Sentinel was junior reporter Derek Adams who was to spend a few hours in the company of the Fab Four. Some of the profession’s most senior and respected figures would soon have gladly given up a year’s expenses to have swapped places with him that night. Derek got a great view of both houses from the wings, spoke at length to the group during the break, and witnessed The Beatles at play before sharing a fish supper with them at the end. He confesses to only vaguely knowing who they were before the show, but he took to them as he witnessed them larking about and pushing each other around before stepping out on to the stage to try to sing over the screams during both packed houses. He was there to witness a sweaty John and Paul dunking themselves under a cold tap in the dressing room between shows. He interviewed them in the dressing room as baying girls gathered by the window on the pavement outside, and watched as Ringo threw a glass of water from the open window, much to the delight of the screamers. The Beatles stayed that night at 6 Adventure Place, Hanley, with a landlady who regularly looked after showbiz people. The property is still there today. But what of Derek’s review? A Hanley teenager known only as Dawn also has happy memories of that night. She was so impressed by The Beatles’ performance that she wrote to them asking about whether they had a Stoke fan club. The bad news was they didn’t… but the good news was that the bad news was delivered in a hand-written letter by John from his home in Woolton, Liverpool. The letter emerged a few years ago and experts date it to March, 1963. This letter may have taken The Beatle only a few minutes to compose, but it would have been very special for Dawn and it underlines just how generous The Beatles could be while they had the space to take a breath. This letter is believed to be one of the last that John would have sent from Mendips. Tomorrow I’ll post an extract from the final tour.